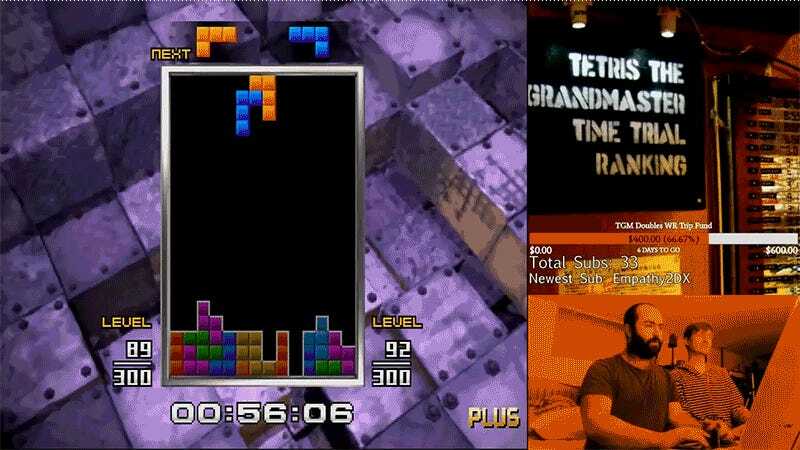 The only thing more enjoyable than seeing the reactions of speedrunners KevinDDR and ApertureGrillz at the end of this new world record for Tetris: the Grandmaster 2 Plus is watching all of those pieces fall into just the right places. Hypnotizing, isn’t it? Watching this video is like scratching an itch, or drinking a nice cool glass of water when you’re parched, or getting a Tetris in the video game Tetris.